Models and Talents are not always under network coverage that’s why e-mail channel is not always effective! Today we’ve added the power of SMS notification to the JOB/OPTION panel and now you can send SMS alerts to all the models involved with a single click! As for emails, just click the phone icon in the JOB/OPTION panel, add details and SUBMIT. Netwalk takes care of wrong or inexistent numbers and will ask you to fix them. 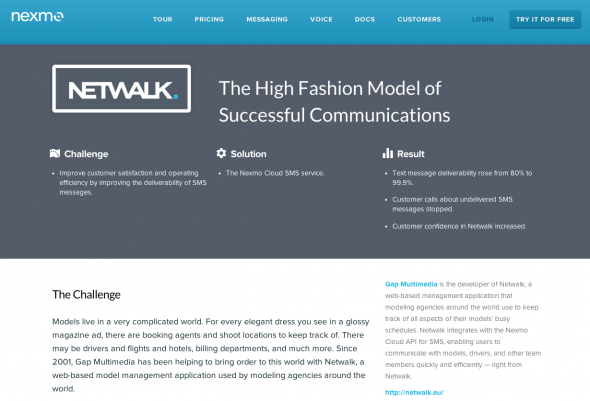 Nexmo, our cloud SMS provider, has just published a customer case study based on Netwalk SMS services experience. Learn more on Netwalk SMS engine. 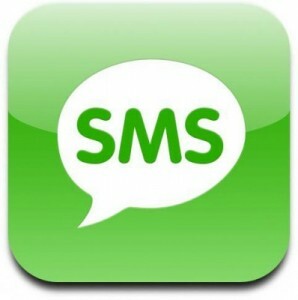 SMSes are simple, instant and universal. They are more discreet and less time-consuming than a phone call. That’s why SMSes are one of the channels Netwalk provides for you. 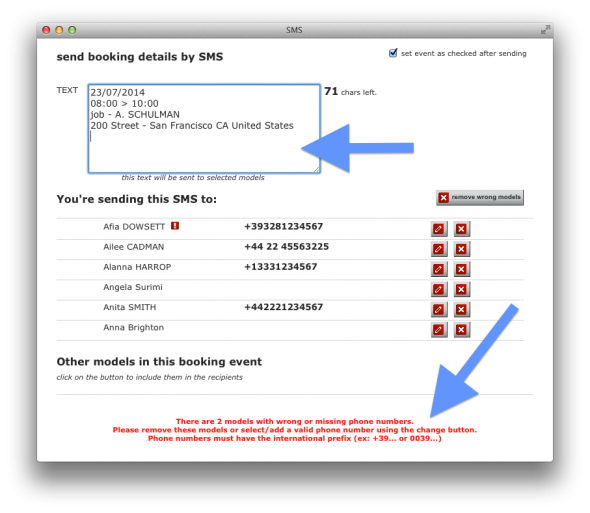 Netwalk lets you inform, notify, alert your models just with a click. It’s easy! When you have to communicate to someone that a job has been confirmed, or you need to send all the day’s appointments without the hassle of picking up the phone, just sms it! And That’s that.